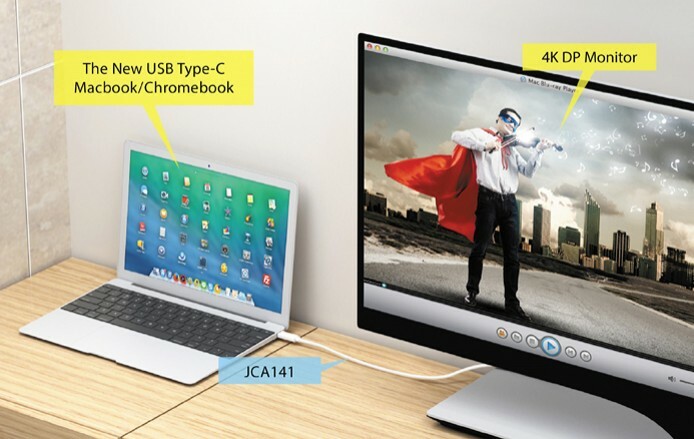 j5create's USB Type-C to VGA(1080P) / HDMI(4K) / DP(4K) / DP with Cable(4k) display adapters allow you to quickly and easily connect your MacBook, Chromebook, Tablet or PC to an external monitor, HDTV, projector or other display device using a VGA,HDMI or DP input. j5create's USB Type-C display adapters enable you to output high-definition VGA(1080P) / HDMI(4K) / DP(4K) video from your MacBook, Chromebook, and other laptop and desktop computers with a USB-C port. 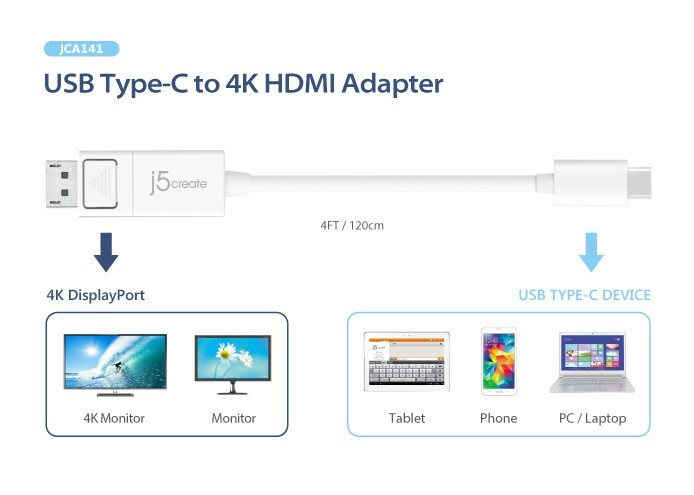 j5create's JCA111, JCA153, JCA140 and JCA141 adapters offer a cost-effective Type-C ALT Display Port (DP) to VGA(1080P) / HDMI(4K) / DP(4K) connection, letting you connect a VGA(1080P) / HDMI(4K) / DP(4K) computer monitor to a Type-C DisplayPort ALT Mode-equipped desktop or laptop computer, saving the expense of upgrading the monitor for compatibility. 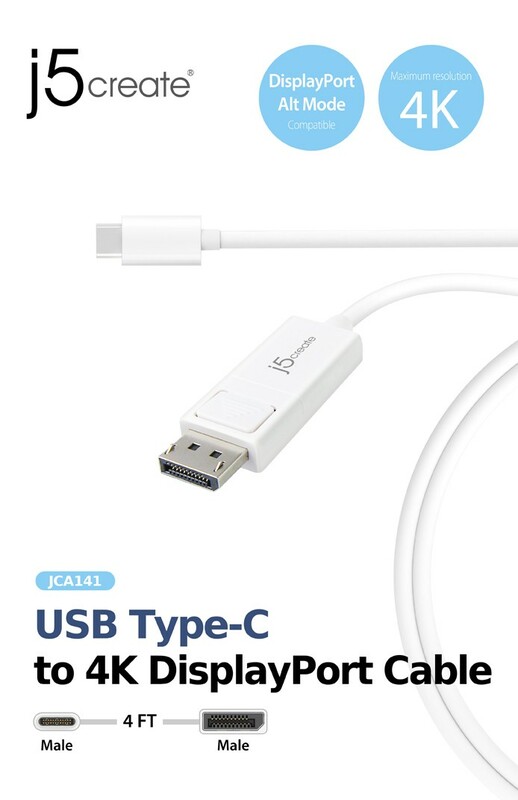 Available DisplayPort Alternate Mode over USB Type-C connector. Perfect for Macbook and Chromebook. DisplayPort v1.2 required on graphics card or video source to support 4K x [email protected] 60Hz resolution.